WF West of Chehalis, Washington is a perfect example of a group of kids that, “just get it”. They are there almost every weekend training as a group and they understand that working together within our format is a way that they can almost ensure success. They travel as a team and show up every weekend ready to work. You never hear excuses or any other unrelated talk. They just want to better themselves as a team, and make the most of their High School experience. Sophomore QB, Tanner Gueller (6-2 195 So. QB) is one of the top kids for his position in the entire state of Washington. He is a general in every sense of the word and comes from a very athletic family. His brother has been the starting quarterback at the school for the past few years and is now headed for Washington St University to play D1 baseball. Tanner is a 3 sport athlete that will be ranked as one of the top kids for his position when our new rankings are released shortly. He says, ” I think all of our guys are very dedicated, and I love being around them”. He continued, “we have a unique chemistry together, so If I tell them we are throwing after school they always get there no matter what”. Its this mentality that we notice with these kids at our camps. No one expects to be the star, they just want to be the best team they can. WF has multiple skill kids that can get the job done lead by Alex Cox (5-8 150 So.) and Bryan Moon (5-9 155 So.). Cox is small but VERY tough and quick according to Gueller, as he was a varsity starter as a sophomore and scored 3 Tds this past season. Moon is very similar in that he to is a 3 sport athlete with good quicks, and outstanding hands. To go with the skill position kids, everyone always wants to know if a team has legit size on the perimeter. In this case they do. Bowe Mckay (6-4 195 So. WR/TE) and Hunter Jones (6-5 220 So. 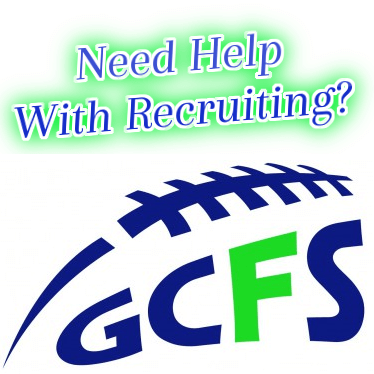 TE/DE) provide the team with the size needed to compete against some of the bigger teams around Washington. Keep in mind all of these kids are only sophomores so the future is extremely bright in Chehalis. Mckay started a few Varsity games last year and is another 3 sport athlete with a huge upside, while Jones may be the most intriguing of the group with the size to play big time ball if he hones his skills. In all WF West will be one of the top teams within their classification level, and the next two years could prove very exciting with a group that has a chance to be special. Its been a pleasure to have this group of kids consistently working hard at camp, they are nothing but class and have a bright future ahead.